I recently downloaded an app for my iPhone. It is called Fooducate. 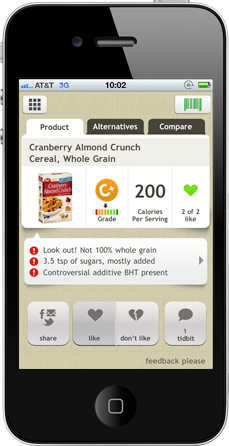 It allows you to scan the bar code on foods, rates the foods and than tells you better, healthier options! It is very accurate and lets you know other brands that may be healthier then the one you are choosing. I’m a big fan. Now only if I remember to use it…hmmm.